Ang Lee never settles for just directing a movie. 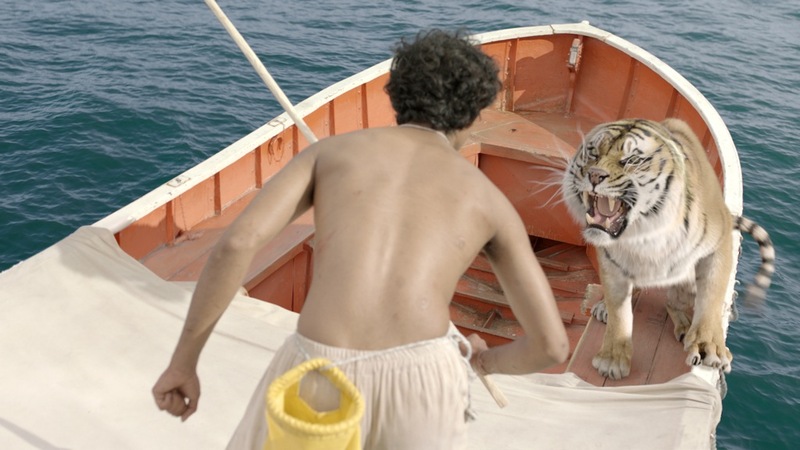 Life of Pi is the best example of all, as he recreated Yann Martel’s book on the big screen with impeccable artistry. The 3D epic film is the ultimate result of the perfect marriage of technology and poetry. Yes, this is very much possible and we are all thankful for it. The book was originally published in 2001 and it tells the story of a Hindu boy, Piscine Monitor Patel, named after a famous swimming pool in France. Tired of being bullied by his classmates, he later shortens his name to Pi, a clear reference to the Greek letter. Pi, now as an adult (Irrfan Khan) tells his story to Yann Martel, played by Rafe Spall. In his own words, he develops a special relationship with God and cultivates his spirituality as a young kid while never stops asking questions. So that, he becomes both a Christian and a Muslim, but never abandons Hinduism. Pi’s Father, Santosh (Adil Hussain), is a rationalist. He’s not happy at all with his son’s obsession with religion, so he encourages him to never accept anything without solid evidence. The family of Pi includes an older brother, Ravi (played by Ayan Khan, Mohamed Abbas and Vibish Sivakumar) and his mother Gita (Tabu). They own a zoo and Pi became fascinated with all the animals living there. He takes care of every one of them almost as a loving father would do. One of those is a Bengal tiger named Richard Parker. 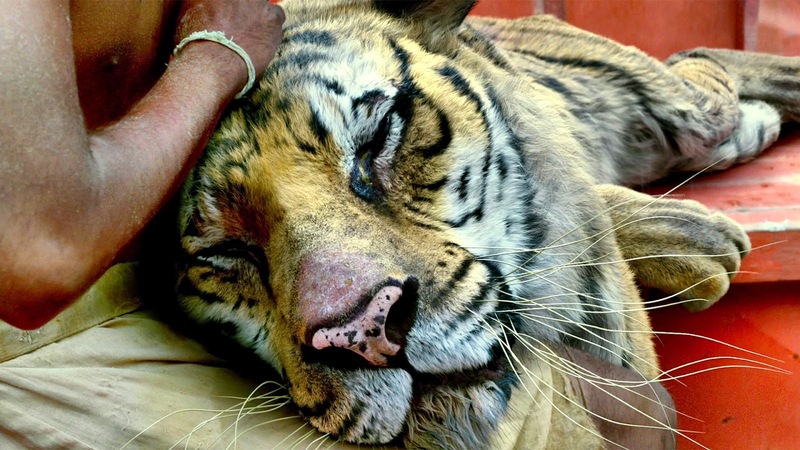 One day, Pi realizes that life is not a fairy tale -like religion says- thanks to this spectacular creature: as he’s trying to feed Richard, his father abruptly stops him, as the tiger could have killed him within seconds. Then he forces his son to watch how Richard kills a goat to prove his point. Nature is cruel and the boy learns this painful lesson, but he doesn’t give up on his faith. 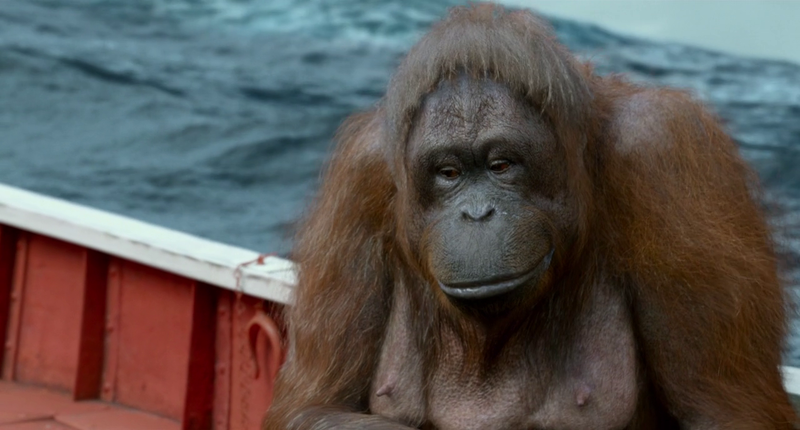 Later in the movie, the whole family leaves the country heading to Canada, but a violent storm hits the boat (Tsimtsum) and Pi finds himself adrift in a lifeboat alongside a zebra, a hyena, a female orangutan (Orange Juice) and the tiger. He witnesses with great horror how the hyena kills both the zebra and the orangutan. 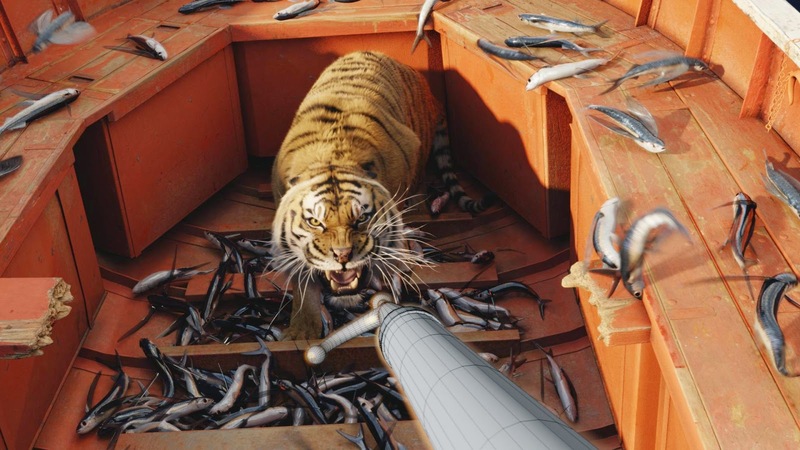 Moments later, Richard Parker slays the hyena. Now Pi is all by himself with him. He spends several days trying to survive, as Richard tries to devour him more than once. Eventually, Pi manages himself to tame the tiger. The creature that once represented the biggest threat to his life is now a beloved companion. They develope a weird, yet fascinating friendship. The young man, now 16 (Suraj Sharma), has enough time to watch and observe Richard in the middle of a thundering ocean. 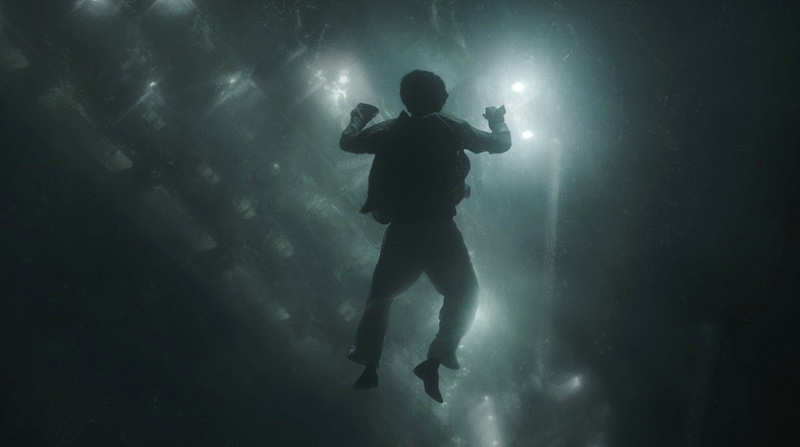 One of the great messages of the film is the relativity of truth and how it is used for various purposes. The version that the audience sees on the screen is filled with anxiety, fear, poetry, hope and intense beauty. Ang Lee and his amazing team created sequences powerful enough to penetrate the soul of every moviegoer and make them wonder about life and death. How would you react if you were in a similar, desperate situation? 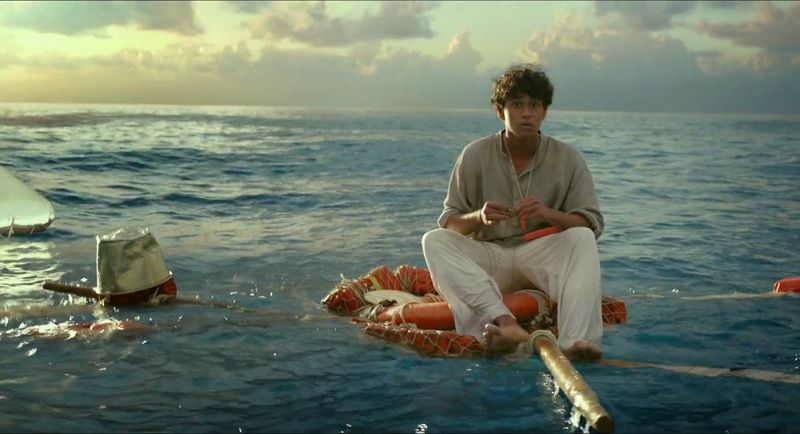 The most haunting scene of Life of Pi epitomizes its message: one night Pi is completely exhausted and his mind play games with him. The ocean remains quiet and he sees Richard Parker staring at the stars. Suddenly, he asks him: “What do you see Richard Parker? Tell me what you do see”. Then the tiger gets mesmerized by the beauty of the ocean while dreamlike creatures come and go in an infinite dance. The unilateral dialogue is a tribute itself to the mystery of creation. 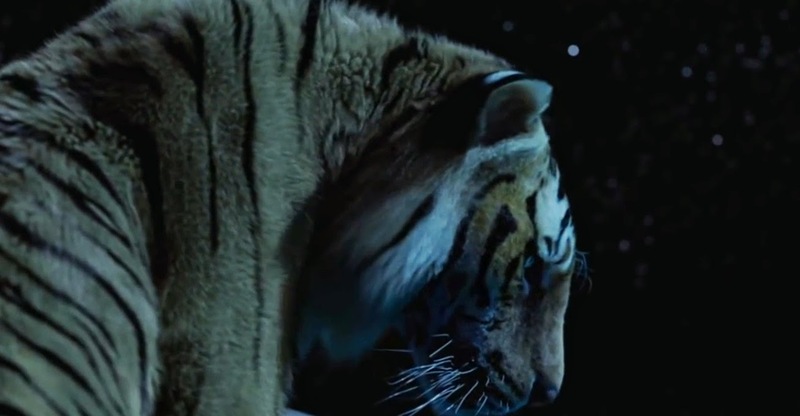 If Richard Parker represents either Pi’s soul or consciousness, then he’s asking himself all these questions: What’s happening? How did I get here? What exactly am I paying attention to right now? Am I able to look beyond mere reality to alter the quantum field, and therefore my circumstances and whole life within this space and time? The movie’s sense of eternity reminds the audience that, no matter how rich, famous and beautiful we might be, someday we will only be mere dust, a small part of the whole universe whether at the bottom of the ocean or on the highest of mountains. As human beings in this world though, we can’t afford to just sit here and wait for our final hour. Fortunately, neither the movie ends here: after an almost unbelievable episode on an island inhabited by thousand of meerkats, Pi is finally rescued as soon as the lifeboat reaches the coast of Mexico. 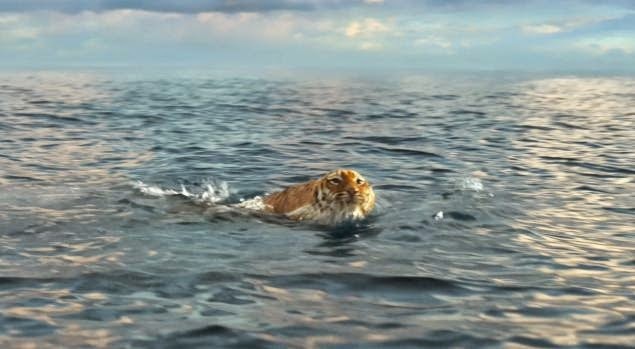 According to his story, moments before the locals came to his aid, he said goodbye to his beloved friend, Richard Parker. The tiger didn’t even turn around to see Pi for the very last time: he just disappears into the jungle. But the memory of his only companion for 227 days will always be with him, as he tells Yann Martel with tears and emotion. However, Pi is pressured by the Japanese insurance agents to change his own version. He rewrites the story and says that in reality he was in the lifeboat with his mother, an injured sailor and the cook (Gérard Depardiu). They unfortunately killed each other, so he reached Mexico’s coast all by himself. This is the version they accept but then Yann Martel has the ultimate answer: he chooses the ‘tiger version’ because ‘a history with God is always better’. The strong religious implication of such affirmation might sound naïve for some part of the audience. Be as it may, Pi used his personal faith to literally survive through the storm. Believing in the unseen can work miracles in anyone’s life, but here’s an important question: how many people are doing that? Are you using your personal faith and beliefs to improve your own condition and help others? Or are you spreading hate and intolerance disguised as faith? This has nothing to do with any kind of “God” or love, for instance. The movie has a –little bit sugarcoated- happy ending, with Pi introducing Martel to his family. The remaining questions will be answered by the audience themselves, of course. 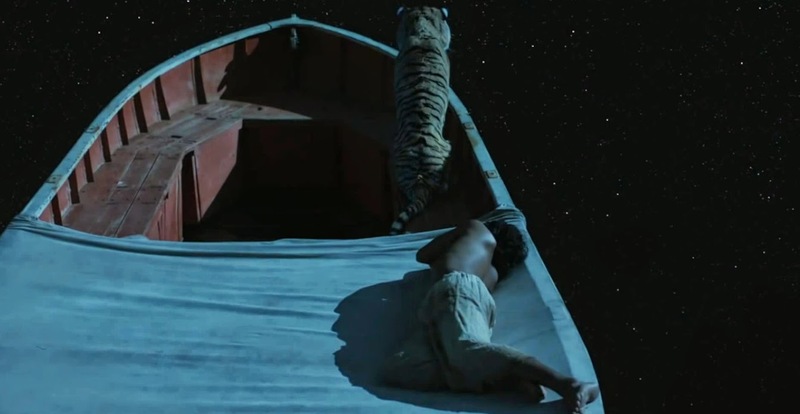 As any other great movie, Life of Pi has many different meanings. One of my favorites is the one related to some type of love often labeled as ‘corny’ and ‘useless’: the storyteller’s tears when he remembers his farewell to Richard Parker are a tribute to every one of those creatures we’ve fed and loved along our lives. Some of them are here and some are gone. Some of them even remain nameless, but all of them are part of our history. Maybe in another dimension we’ll meet them again, but that kind of love will always carry on. However, Life of Pi is not exactly Hachi: A Dog’s Tale (another wonderful film), so the meaning of that scene goes beyond mere tenderness: Pi was saying goodbye to his own fears and broken dreams. 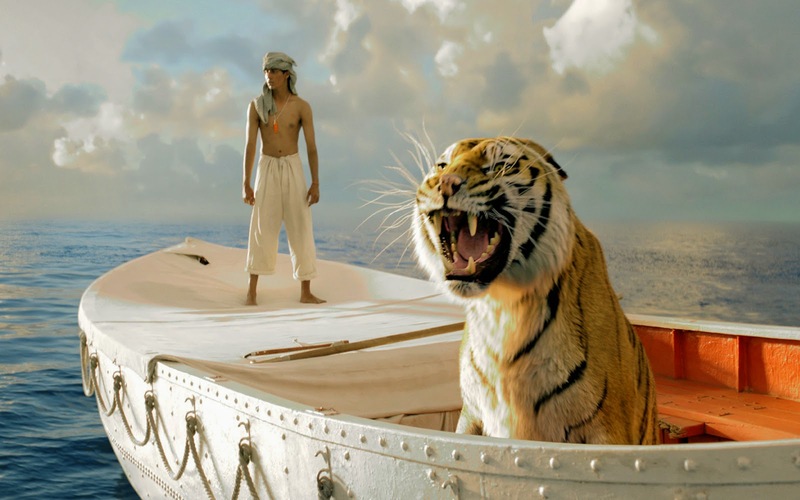 Richard Parker was the part of himself that kept him alive and got him stronger than ever. He (symbolically) disappears into the jungle and becomes part of the universe, like Orange Juice, the zebra and his own parents did. You will be the one to choose your favorite version of the story... but definitely a story full of faith, love and gratefulness will always be the best.